The 1942 Northwest was sailed in Menominee, Michigan just 6 weeks after the Japanese had bombed Pearl Harbor and would be the last one sailed until 1947. 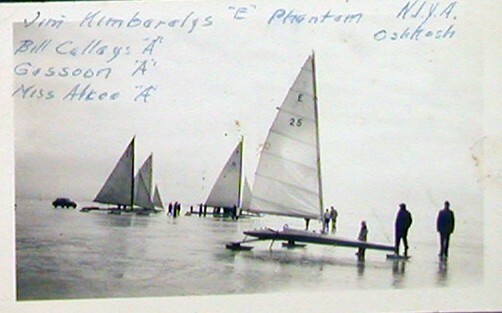 Neenah Ice Yacht Club’s Jim Kimberly won the E Skeeter title in PHANTOM II. There was no entry in the A fleet that year. 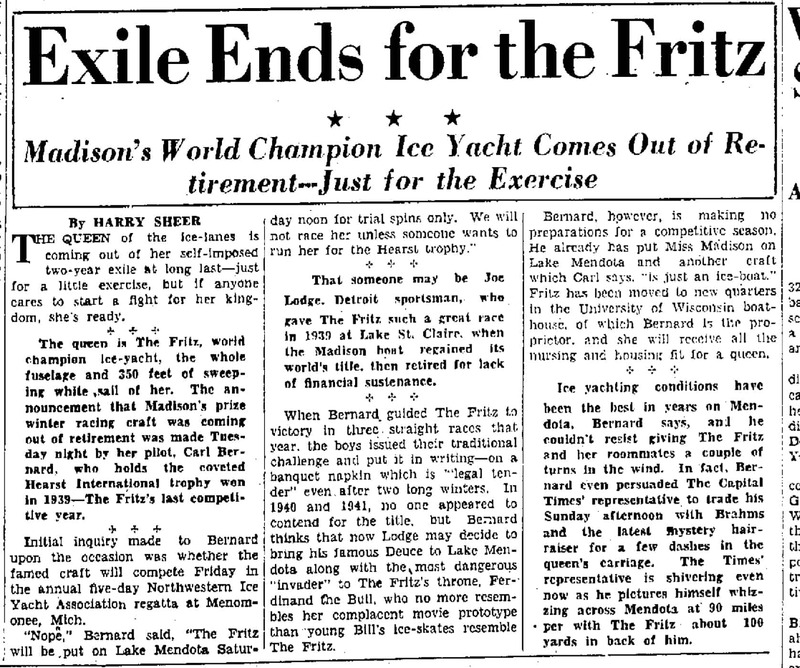 The “queen of the ice lanes”, FRITZ, stayed on her home ice that season. (Read more about FRITZ coming out of “exile” here.) In fact no 4LIYC skippers competed in the Northwest that year. Here’s a Capital Times article detailing the winners of the regatta.